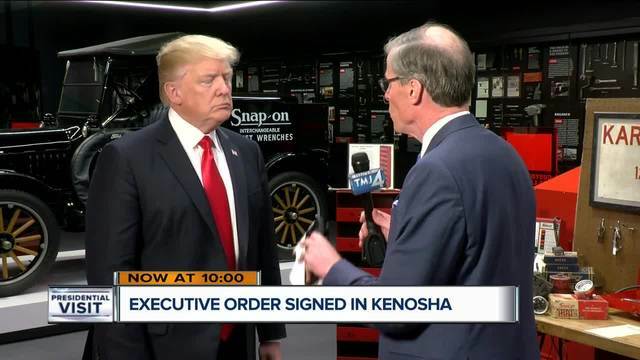 KENOSHA -- President Donald Trump took executive action in Kenosha Tuesday during his visit to the Snap-on tool headquarters. “I'm thrilled to be back in Wisconsin,” Trump said as he signed an executive order with the goal of protecting American jobs. “We're going to defend our workers, protect our jobs and finally put America first." 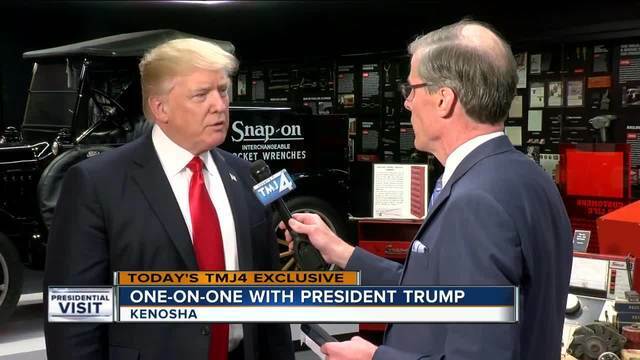 TODAY’S TMJ4's Charles Benson was the only reporter pressing the president one-on-one about what the new order means for you. 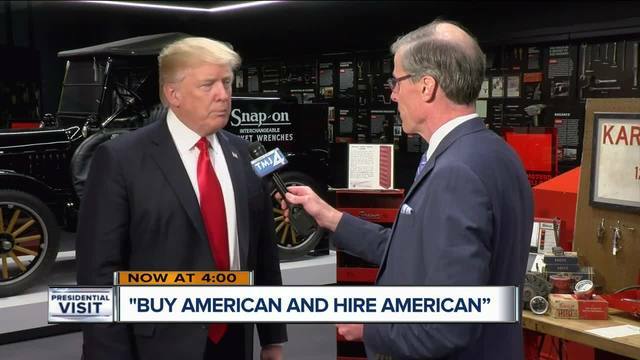 Benson: Does this give you the tools to make this a game changer for the American worker? Trump: It does and it's just the beginning. Trump was in town to talk up his domestic agenda but he's also dealing with the North Korean nuclear threat. Benson: How concerned and worried should Americans be about a thermonuclear war with North Korea? Trump: Look you always have to be concerned - when you don't know exactly who you are dealing with. Trump told Benson that previous presidents have pushed off the North Korean problem dating back to President Bill Clinton - now he's left with what he calls a very tricky situation. Trump: I'm put in a position where he actually has nuclear and we are going to have to do something about it. Hopefully, he wants peace and we want peace and that's going to be the end determination but we are going to have to see what happens. 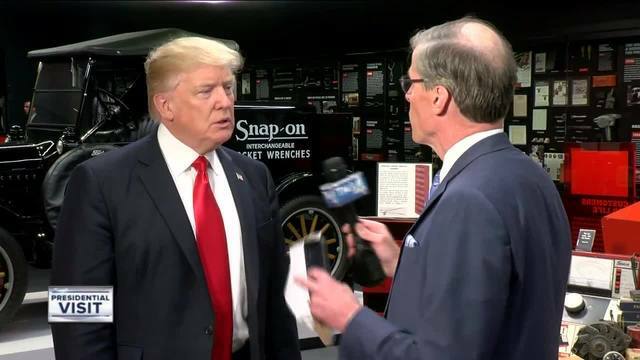 But it was Trump's domestic policies that brought him to Snap-on in Kenosha. Trump approaches 100 days in office at the end of the month without any significant legislative wins. Benson: Do you still have confidence in Speaker (Paul) Ryan that he will be able to deliver on your agenda when it comes tax reform and healthcare? Trump: I think we are going to have a big win soon because we are going to have healthcare because I believe that's going to happen. House Republicans failed to take up repeal and replace because they lack the votes but somehow Trump did see it as a setback. Trump: You know there was no, like loss with healthcare, this is just a constant negotiation. and the plan is getting better, better all the time. Trump added he still backs Ryan and he expects bigger issues coming down the pipeline. Benson: How soon will you deliver on your trillion dollar infrastructure investment? Trump: Very soon I think it's going to come as part of one of the other bills. It's going to fix up our roads, our highways, our airports and so many others things and Wisconsin will getting a big piece of it. 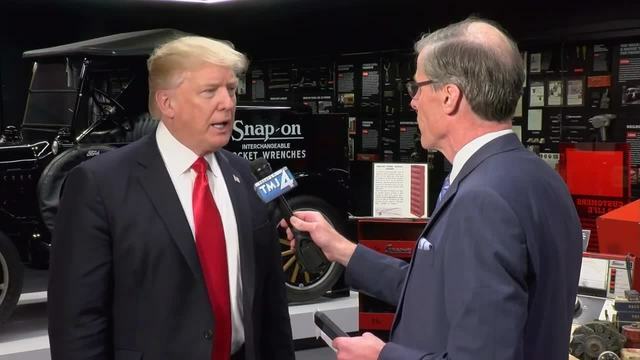 Trump says one of his biggest wins so far was getting Judge Neil Gorsuch on the Supreme Court which he said would be "good for the second amendment among other things."